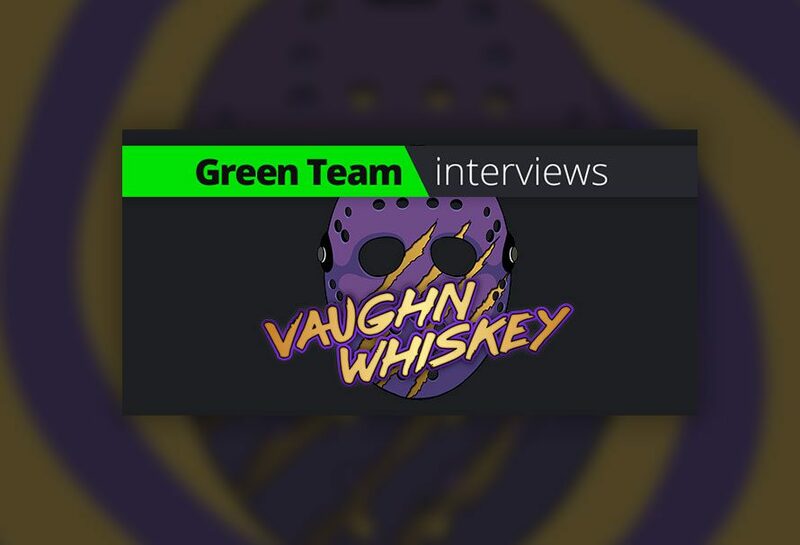 Our next Green Team Interview has been recorded, and it’s with the charming Vaughn Whiskey! You may know him from his excellent Green Team Presents video on his favourite game, Fallout 4. He’s a lifelong gamer, and has some rather interesting tips for you aspiring streamers. What kind of gamer would you describe yourself as? I would best describe myself as a video game wanderer for the most part. When it comes to what i play on stream is what mood i am feeling. Sometimes I just ended up playing a mindless clicker game that doesn’t involve much brain activity or concentration while others are in depth playthroughs of single player games. I prefer single player games more than multiplayer for the most part because ever since i was a kid, single player games have been my go to for games. What made you decide to start streaming/making videos? I started streaming back when Twitch was JTV and things was a bit rockier than now, i found myself going to streams like CrReam,Uleet and KonasKorner for my daily dose of entertainment. I quickly found that watching streams and later, holding my own, helped me to feel better, to meet new people, and to have fun and express myself. After I obtained my username back on Twitch, I decided that now is the best time to take my streaming to the next level instead of just making tutorial videos on YouTube. So here I am with a few years under my belt as a “full time streamer” and loving every minute of it. You can take 3 games with you to a desert island, which ones do you take and why? Let’s answers your question with a question of my own. This desert island we speak off, does it have a computer, power and internet access? This really is important on my answers ha-ha. If there is power and I am playing the games I would have to pick Fallout: New Vegas, Final Fantasy 1 (NES) and Battlefield 3. The reason i pick these 3 is for different reason. Like above I stated that i am more of a single player gamer and Fallout:New Vegas has plenty in its base game to keep a gamer like I interested. As for Final Fantasy 1 being in my top 3 is because it was the 1st game I played by myself when I was introduced to gaming. I remember grinding a corner of a island in that game for a month to be overpowered for the rest of the game.I remember how sore my fingers got from the edges of the NES controllers. Awful time for gaming but hell, I wouldn’t of traded it for anything else.Now for Battlefield 3 being in the list is because you have to one multiplayer game that you can play over and over again that doesn’t implode on itself with the same thing every time. When you play a BF1 game, anything could happen depending on who’s playing. I’ve seen players land headshots over entire maps or use c4 to launch a tank onto a building for better eyesight on the map. The game still draws me in when i have nothing else to play. What tips would you give to a content creator trying to break 500 subs? As for YouTube and stats, I can only give one answer for this question. I find if you pay too much attention on your numbers while creating content for either Twitch or YouTube that you will drain yourself before you hit your peak! Numbers when you start out should be on the end of your list. Having feedback and a planned out idea of what you want to delivery and share is way more important than numbers. I am not saying number FULLY mean nothing but taking them to heart at the start can really affect you on your quality. The drive to keep going is one desire to grow themselves. What advice would you give to someone who wants to try their hand at streaming? The advice that i would give someone who wants to get involved in streaming is just do it. There are many ways to get started via consoles, PCs and even mobile devices but it up to the person on what they want to stream. I can’t say to someone who isn’t into gaming to go stream the newest game because it might not be up their alley. But that person might be very creative with paints and art so they could totally do a art stream with no issues. It’s always about the person and their love of something. Like photography? Go stream yourself taking photos. Like talking, create an open sided podcast on your fav topics. It’s all personal want then needs when it take streaming into account. For those who haven’t visited your channel, what makes your channel stand out from the rest? What makes my channel different from others is very minor but in a good way. I don’t try to keep open to my viewers about things going on that involves my channel and how they can be apart of the growth and direction of the channel. I also chat regardless to 1 viewer to 100 and always read my chat giving viewers something to always debate or chat about. We also have “Viewer Night” on Sundays and “Movie Night” when we can! I also to pressure viewers about tips, bits and anything else. I want them to grow with the channel and not be scared away by unnecessary things like owing me anything! Who’s your favourite streamer and what did you learn from them? There are so many to mention but I mostly learn things on my own. Some streamers to mention though are Bikeman, Uleet and Anthony_Kongphan! I find that every streamer has their own rules and lessons but someone needs to learn from themselves when it comes to streaming! Ohhh man, I have a rule when it comes to superheroes. I have a “With powers” and “With no powers” favorites. With powers, it has to be Deadpool even tho he’s kind of a anti-hero. But his inner battles within himself is amazing plus ya know, not being killed/regeneration is good to have. As for pay to win superheroes, Batman has always been my favorite since I was a kid. When i was younger, I was scared of the dark woods around my house and got lost in there a few times. I use to have nightmares of creatures and monsters then wake up screaming. Later on when I started reading comics, I fault drawn (no pun intended) to Batman because he took a fear and turned it into a strength….well the billions of dollars helped too. Ha-ha. You can follow Vaughn Whiskey and check out his stream right here. Previous article What's New In Yakuza Kiwami?